(Prices include: half board accommodation, transfers and return flight from Heathrow or Gatwick). 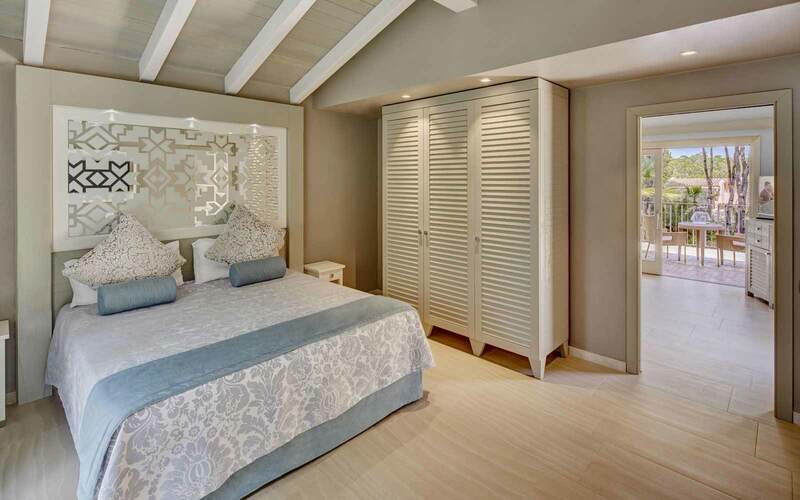 Ideal for a relaxing holiday, the Baia di Nora is built and furnished throughout with superior decor, in an elegant, sophisticated style. 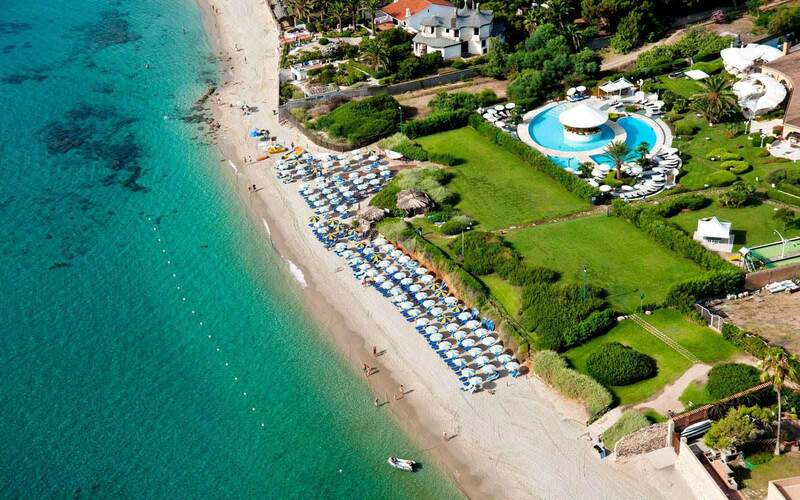 This superior 4-star hotel is set in charming landscaped gardens, extending down to its own private beach. 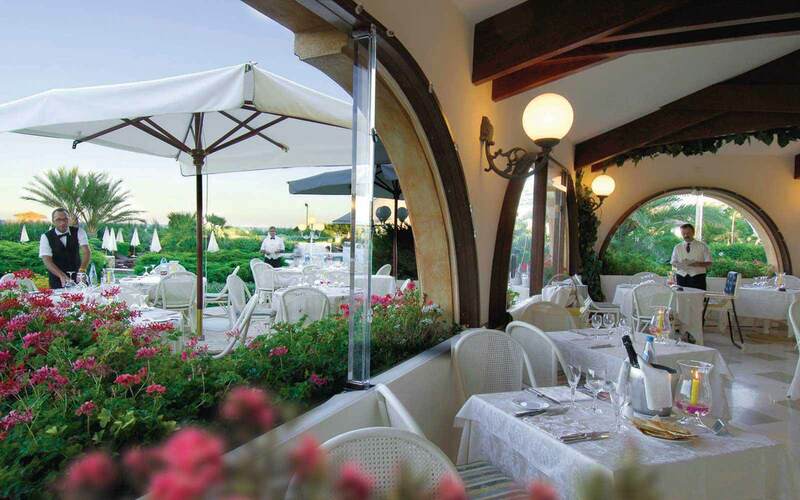 The hotel is only a short distance from the archaeological site of the same name and 3km from the small town of Pula. It consists of a main reception area, with the rooms located in terraced, two-storey buildings, which form an oval around the pretty, central garden, complete with a tiny pond. 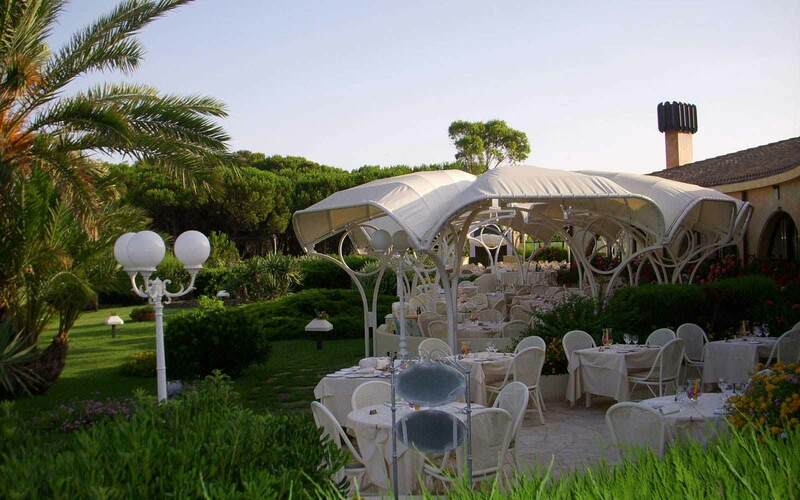 A stroll through the grounds takes you to the hotel's airy restaurant, specialising in Sardinian and international cuisine. Breakfast is taken at the ample, self-service buffet, with table service being available for lunch and dinner. Here you may dine both indoors or "al fresco" under the large, shaded verandah. There is also a pleasant barbecue area. 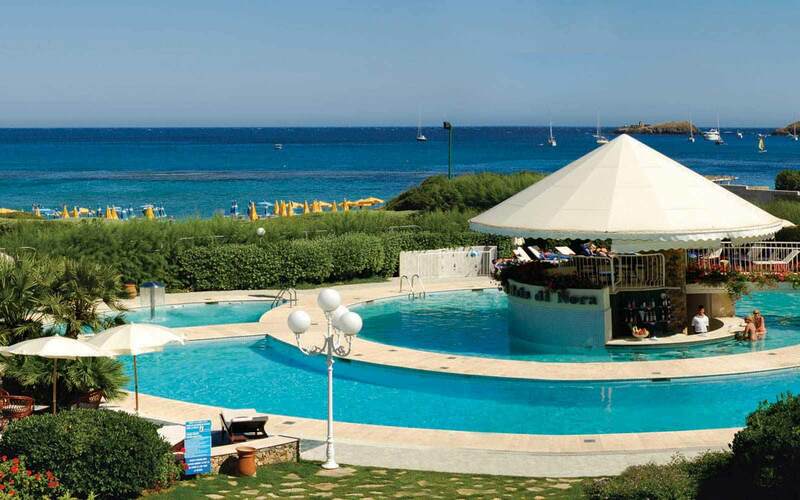 Between the restaurant and the beach of fine, white sand, is a play area and a large freshwater swimming pool, complete with whirlpool, diving section and bar, conveniently positioned in the centre for that well-deserved drink! The hotel also has a lounge, bar and small gymnasium. 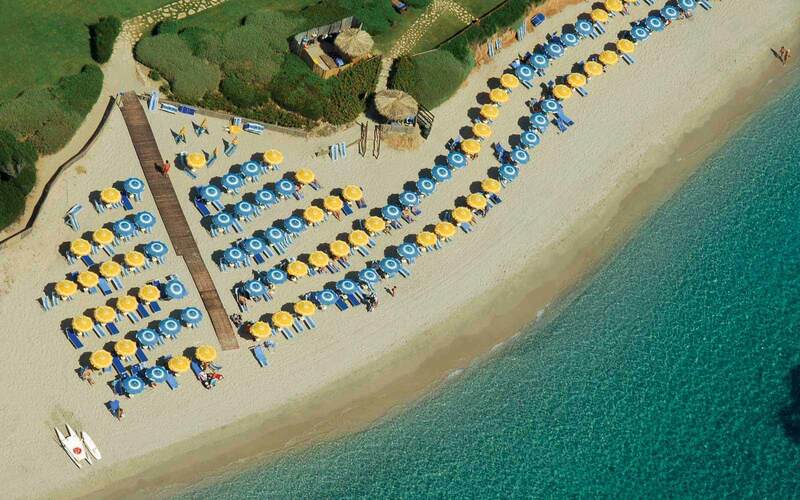 The use of all these facilities, plus beach/pool towels, Italian bowls court, and ping-pong tables, is complimentary. Also available at local charge, are a tennis court, sun-beds by the beach and mountain bikes. Horse riding is also available in the vicinity (shuttle bus provided). A well run hotel and a long standing favourite of ours for many years. 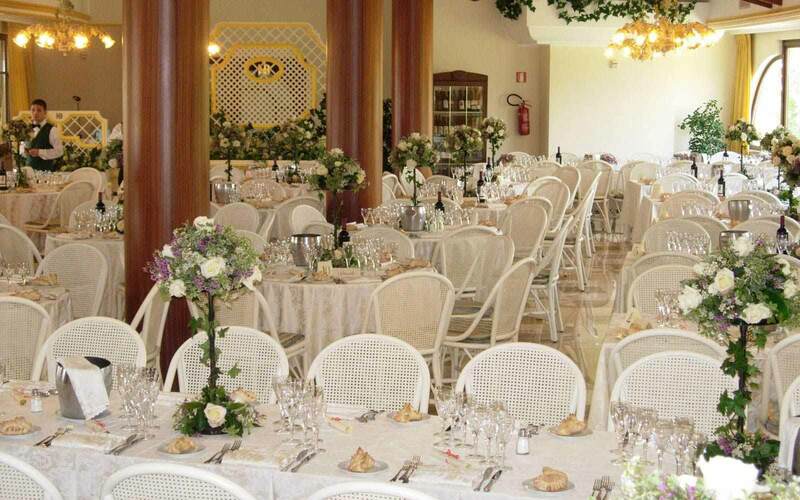 121 rooms, decorated in soft shades, located on the ground or upper floor. 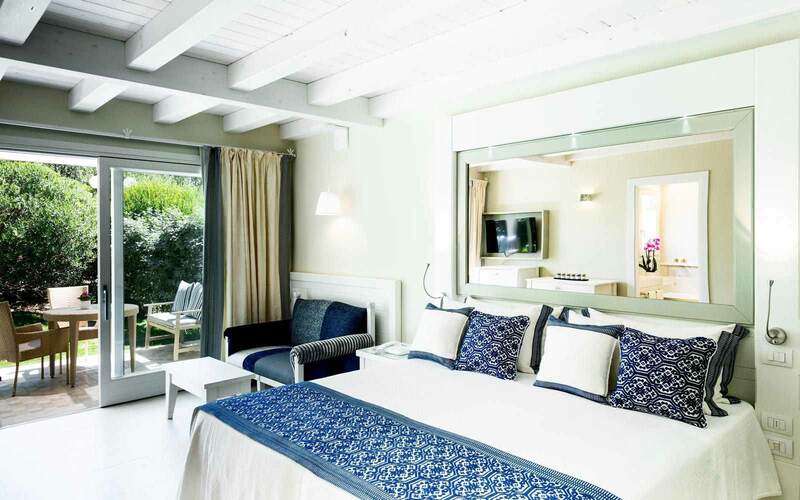 Classic Standard: Double rooms, located on the ground or first floor. Baby cot possible. Triple rooms available which also take a baby cot. Family rooms have a mezzanine area capable of accommodating two children and a cot is also possible. Classic Standard rooms have shower (no baths). 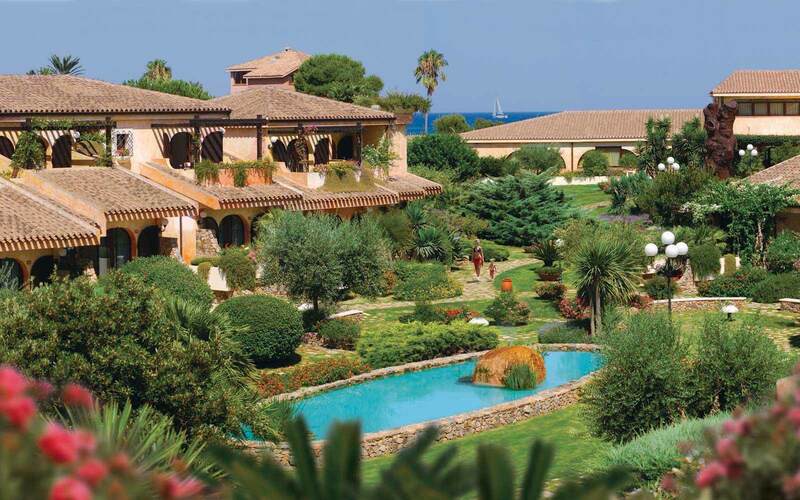 Panoramic Garden: Double rooms on the ground or first floor, overlooking the external side garden. Triple rooms available which also take a baby cot. Family rooms have a mezzanine area capable of accommodating two children and a cot is also possible. Panoramic Garden rooms have shower (no baths). 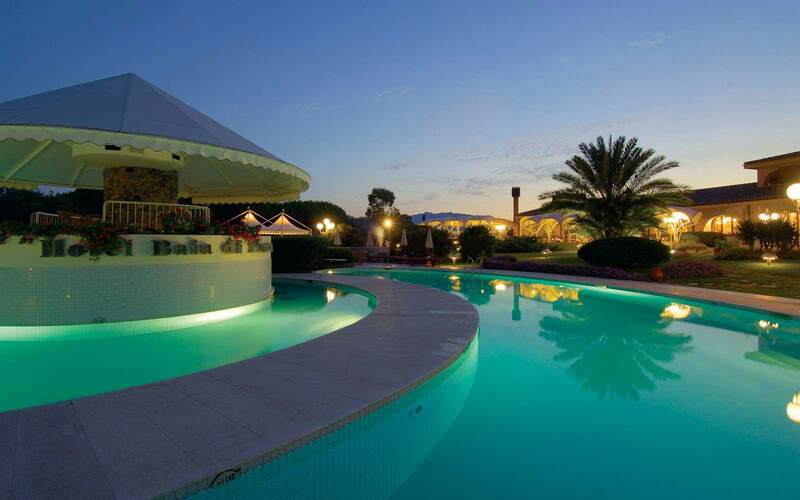 Panoramic Fountain: Double rooms on the ground or first floor overlooking the central fountain. Triple rooms available which also take a baby cot. Family rooms have a mezzanine area capable of accommodating two children and a cot is also possible. Panoramic Fountain rooms have shower (no baths). 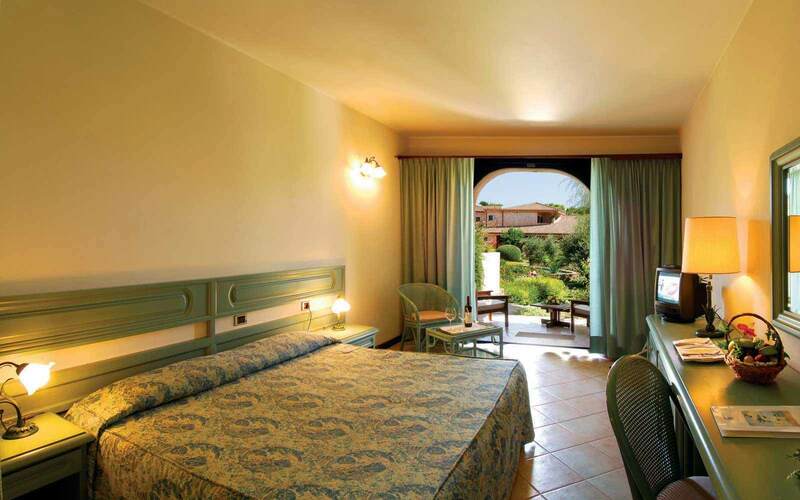 Superior Panoramic: Double rooms on the first floor overlooking the surrounding area. Bathroom with Jacuzzi bath. Baby cot only. No triple or Family rooms. Superior Classic: Double rooms on the ground or first floor. Bathroom with Jacuzzi bath. Baby cot only. No triple or Family rooms. Suite Panoramic Fountain: Located on the first floor overlooking the central fountain. Spacious double bedroom with door leading to a lounge area. Bathroom with Jacuzzi bath. Suites can accommodate a third bed or cot. All rooms offer: shower room (some have bath), hairdryer, air-conditioning, telephone, TV, Internet (at local cost), mini-bar, safe, patio or balcony, most with garden views. (some Classic Standard have a wall without garden view). Twin beds available in all room types.